This was the final release of Bruichladdich from Jim McEwan before his retirement in 2015. Like all other Octomores this is extremely smoky and peaty with a whopping 208ppm phenol count. Ageing Aged for 5 years in ex-bourbon barrels. Types of Barley All Scottish barley sourced from the mainland. 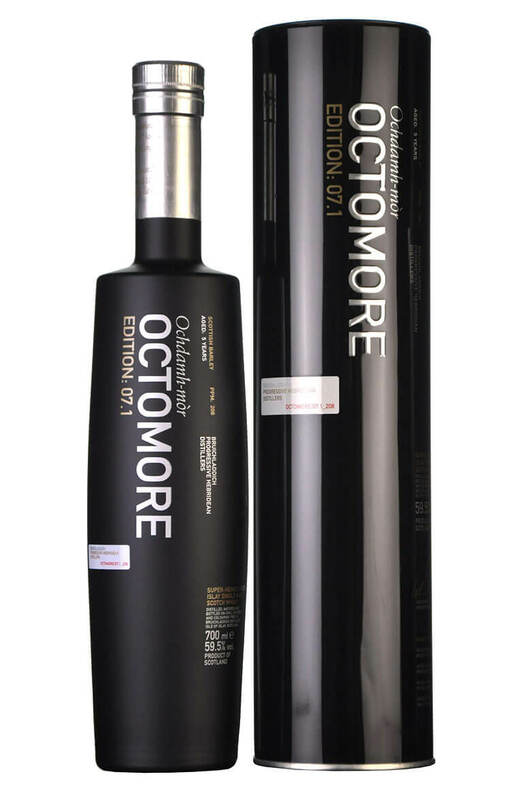 A superb single cask of Bruichladdich's Octomore highly peated single malt. This was filled into..
Peated to an almost absurd level of 167ppm. You would think that this could be undrinkable but when .. Originally released for the Travel Retail Market, this 8 Year Old Bruichladdich has bountiful floral..